Adding a patio is the best way to get the most out of your backyard. 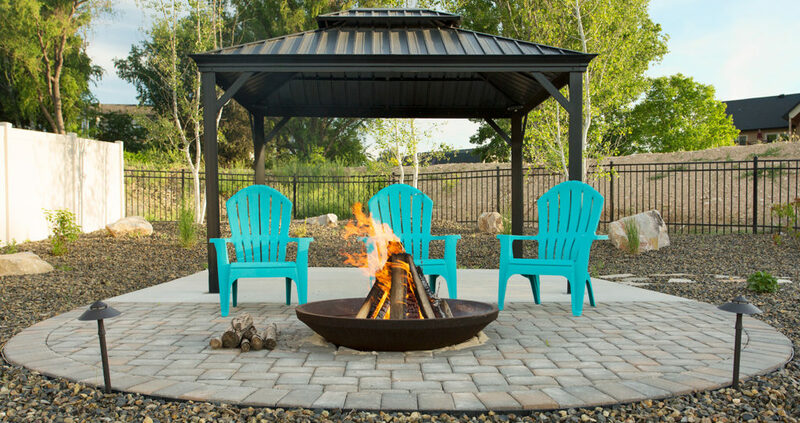 Turn your backyard into an entertaining space for you and your guests. From seating walls to outdoor kitchens, we can provide you with an environment perfect for entertaining your friends and family. Erosion doesn’t have to spell the end of your lawn. 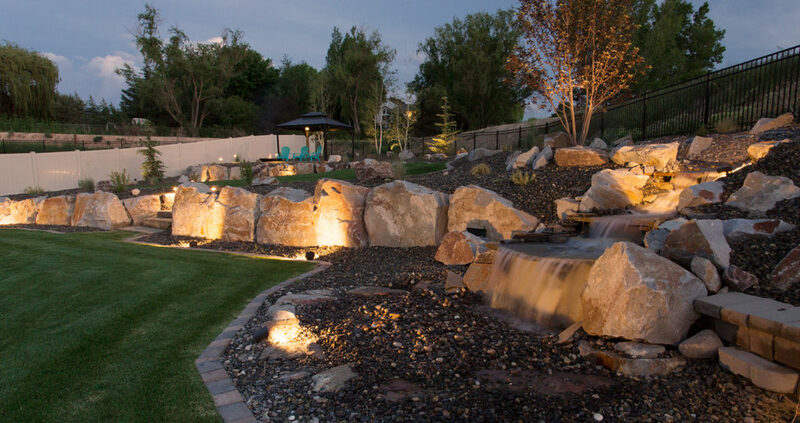 Creative Landscapings retaining walls have helped many other residents add a little extra to their outdoor area, whether the decision is motivated by a need to preserve their lawn’s structural integrity or just add a bit of flare. 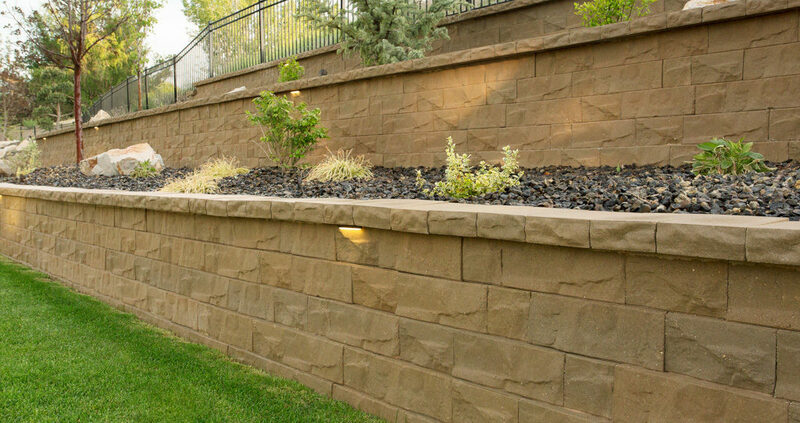 When properly constructed, a well-made retaining wall is a long-lasting and aesthetically pleasing addition to many yards and gardens. 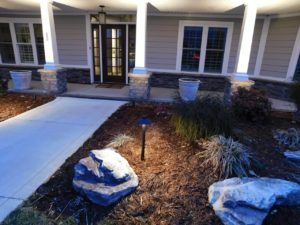 Whether you’re looking to preserve the integrity of your landscape or simply add a decorative feature, Creative Landscaping has what you’re searching for. Watering your lawn consistently and at the right times is the best way to keep it lush and healthy. If left dry for too long, your lawn will turn brown or possibly even die. However, too much water can lead to disease and lawn damage. Irrigating your lawn allows for just the right amount of water to be applied at the right times to keep you lawn looking its best. Every lawn is unique. 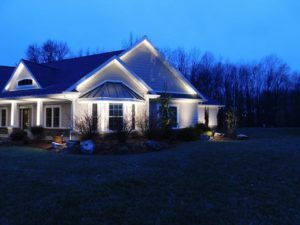 We take into consideration the elevation, slope, and other features of each lawn when determining the best way to set up an individual system. 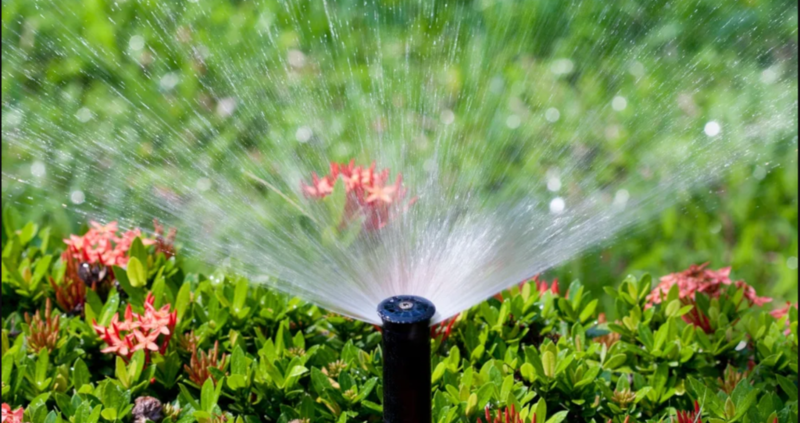 The key to proper irrigation starts with the efficiency of the sprinkler system. A highly efficient system will distribute water evenly and effectively as well as take into account recent rainfalls. This type of water system is designed for working with landscape beds. Having a system specifically dedicated to your landscaping allows your plants to receive optimum watering without the hassle. Whether or not we installed your system, we can provide quality maintenance and service. 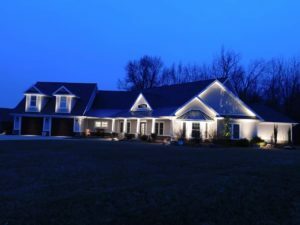 In addition to offering start-ups in the spring and winterizations in the fall, our employees are trained to recognize problems that may occur with an irrigation system and can fix them with high quality equipment and parts. We are also certified back-flow testers. No matter how big or small your property is, there are elements you can add to your garden that aren’t necessarily plants. 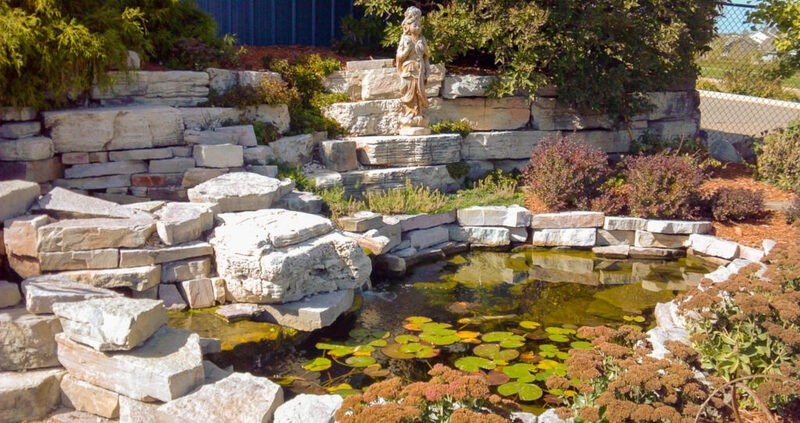 If you’re working with a larger plot of land and are looking to add a bit of flare to your garden, Creative Landscaping is able to install beautiful, tasteful fountains or statues. For smaller areas, a stone pathway connecting your garden to the rest of your lawn is a wonderful choice, and serves as a way to guide visitors around your property. 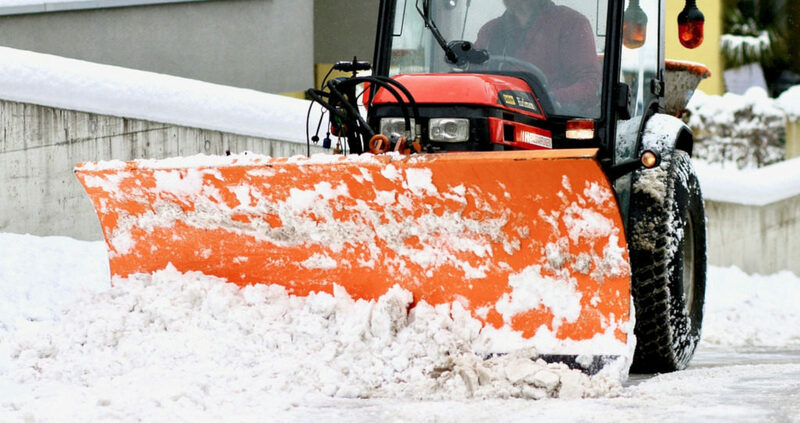 Whether you need to get rid of a build-up of ice and compacted snow, or you are looking to prevent it, we can provide non-corrosive calcium mixture to help meet your needs. Deicing can be incorporated into your regular snow removal plan to maintain the safety of your driveway, sidewalks, or parking lot. Our lawn care professionals are dedicated to helping you maintain a lawn you can be proud of! Our mowing services allow you to have a consistently manicured lawn without the hassle. Many people are unaware that there are better times to mow a lawn than others. Grass height, moisture level, and the weather all play an important role in determining the best time to mow. 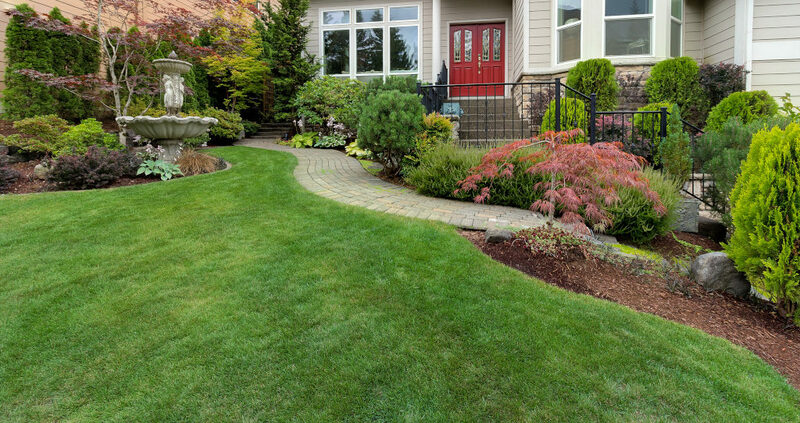 Our experienced staff monitors these conditions to make sure your lawn stays looking its best. In addition to our regular mowing services, we can also help you keep your trees and shrubs well manicured. Tree and/or shrub grooming can be incorporated into a regular maintenance program to be done on an as needed basis, or they can be taken care of upon request. Choosing to aerate your lawn will help to accelerate thatch decomposition and to return nutrients to the soil. This allows air and water to deeply penetrate into the soil, helping your lawn to look its best. Our six-round program is designed to treat specific lawn concerns based on the time of year. Beginning in the spring, Round One treats pre-emergent crab grass and fertilizes your turf. Throughout the summer Rounds Two-Five provide additional fertilization, time released nutrients, and broad-lead weed control. In the fall, Round 6 helps promote root development as well as providing an improved ability to thrive during winter. In addition, we can also specialty spray for any other problems affecting your lawn. Over time, your lawn can build up thatch that forms a mat between the grass and soil. Removing this layer will allow a lush lawn to reemerge. Clean-ups keep your lawn looking its best as the seasons change. In the spring, we clear away debris that winter leaves behind giving your lawn and landscaping a fresh and clean feel. Later in the year fall clean-ups prepare your lawn for winter by thoroughly cleaning out landscaping, leaves, and debris leaving less to deal with in the spring. An outdoor living space should be able to be enjoyed any time of day. 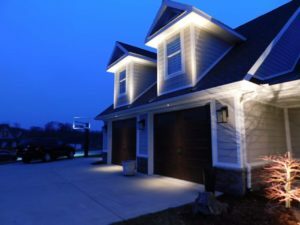 Proper outdoor lighting using today's energy efficient LED lights can enhance any landscape experience.